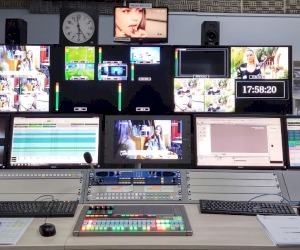 Project includes upgrade of existing TV station to full HD production and Transmission. TV Station has 2 studios and can transmit 2 different programs. All cameras and vision switchers come from SONY, all interfaces from CRYSTAL VISION while the rest of infrastructure comes from EVERTZ. 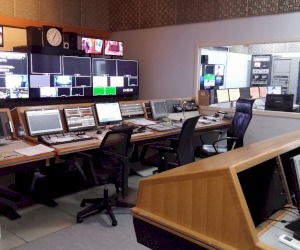 Transmission automation comes from VSN and controls Harmonic Video servers and CHYRON Graphics. There is a PAM system working with ADOBE NLE with ability to Archive in Optical library.